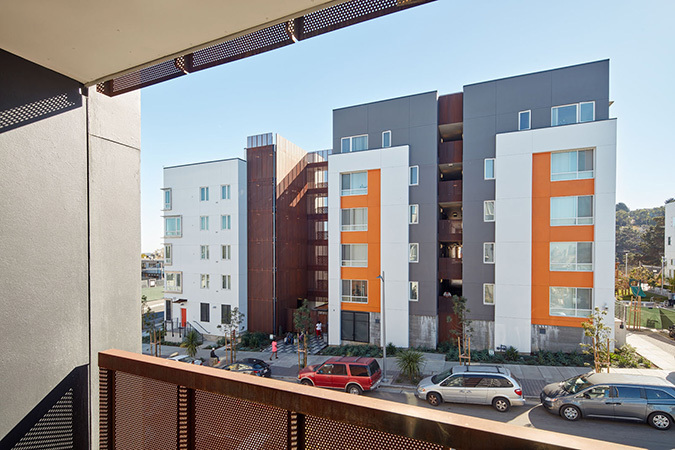 Our firm is currently designing 107 units of affordable family housing on two city blocks within the Phase II redevelopment of Hunters View. 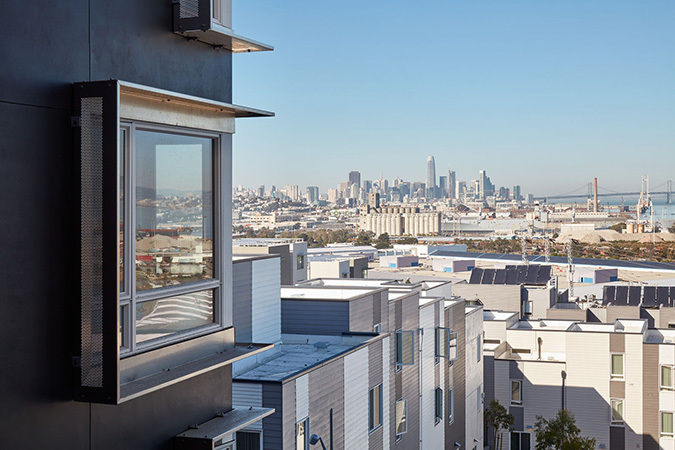 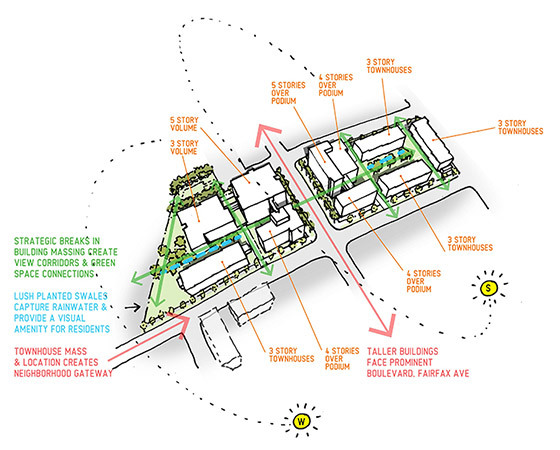 Our design strategy breaks down the two blocks into manageable, cost-effective elements. 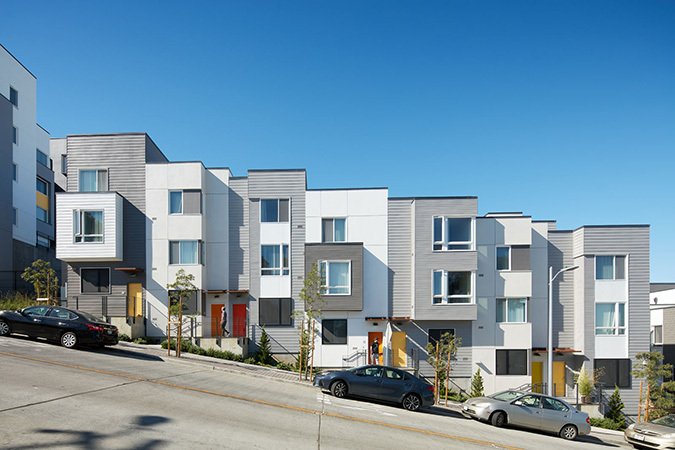 Two accessible, five-story apartment buildings are situated on Fairfax Avenue (the most level, upper part of the site), and row houses step down the steeper adjacent streets. 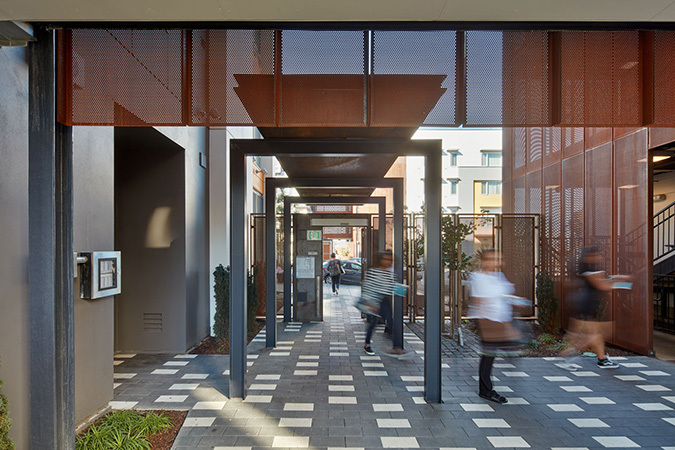 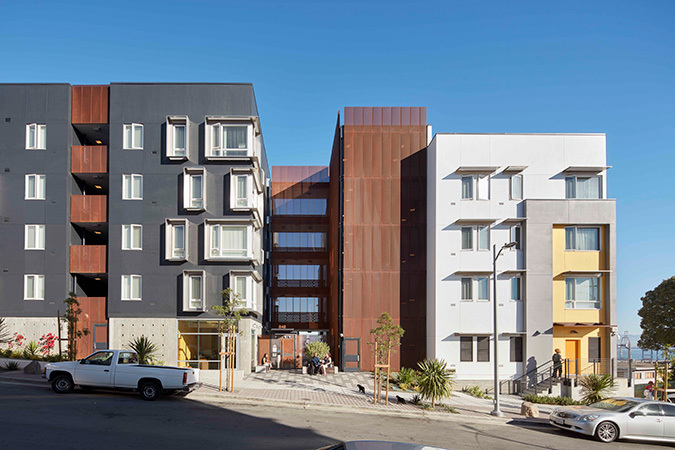 Our design strategy includes alternating facades designed by our firm and our JV partner David Baker + Partners to create a rich and varied street wall that results in a cost-effective solution with a diversity of scale, texture, and design authorship.